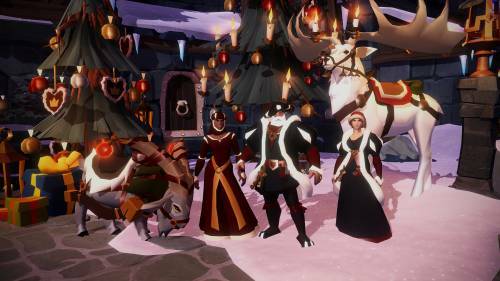 Participate in Winter Event and get rewards that will be available until January 31! • Good Deeds - A world task that needs you to help the citizens of Albion. The Yule batter waits for the adventurers to complete the mission sequence. • Icy Battleground - A snowy battleground, accessible through Caerleon. Fight against other players and against the Keepers for rewards! - including a Yule Stag! • Ice and Fire - An even more challenging version of the Three Sisters Expedition. Fight to receive your winter rewards! • Time to Go Home - Help Father Frost to convince his wife, the Ice Queen, to go home. Overcome a labyrinth full of traps in an frosty castle. • Winter Rewards - Collect snowballs in all winter activities to exchange them for exclusive winter rewards: two vanity armor sets and a present chest that you can place. 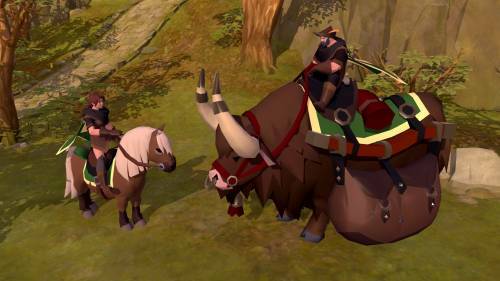 Our new season of referral begins today and brings new referral rewards: Get the Recruiter's Pony, the Recruiter's Chest and the Recruiter's Yak. The new referral season will last until February 7. There are three ways to collect referrals to earn you the Recruiter's Yak or the pretty little Pony! • You can send Trial Keys to your friends. Each key that is exchanged in an account that has no password in it will count as progress in referral season; this is the easiest and fastest way. • Any Starter Pack you buy and be redeemed in a no-key account also counts. • Last, but not least: if a friend registers through your referral link, and then buys and redeems a Starter Pack in your account, it will also count as progress. Would you like Albion Online Gold within a very short time? UPAlbion is not to be missed, best price and fast delivery we can guarantee. Now you can enjoy a 2% -5% discount on Albion Online Gold.